Thruppence: Who wins by sponsoring UK book prize? Man Group has ended its support for the UK’s prestigious Booker award. The hedge fund decided there were worthier recipients of its 1.6 mln pound annual cheque. Luckily for aspiring authors, Breakingviews columnists have a handy shortlist of those who could step into the breach. Writer Anna Burns smiles after she was presented with the Man Booker Prize for Fiction 2018 by Britain's Camilla, the Duchess of Cornwall during the prize's 50th year at the Guildhall in London, Britain, October 16, 2018. 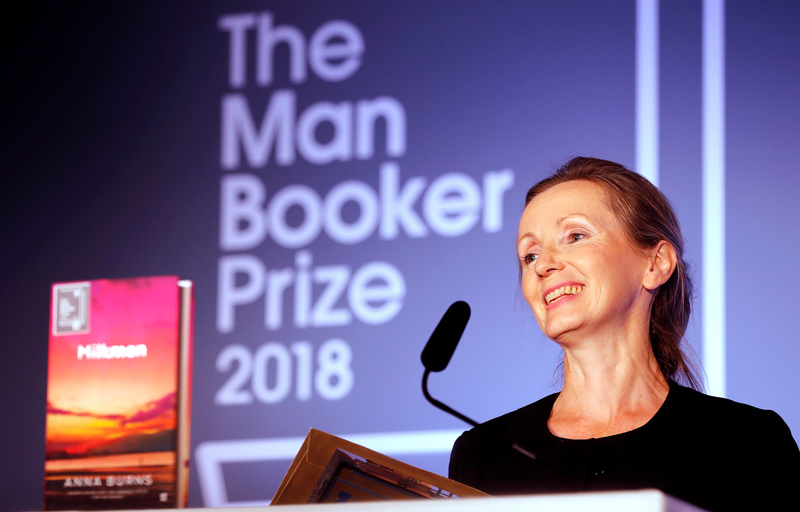 Man Group said on Jan. 27 that it would end its sponsorship of the Man Booker and Man Booker International literary prizes in 2019. Man has sponsored the award since 2002, and in that time donated 25 million pounds through prizes and other charitable activities.